TeamPawe Tech #11 Maxx "C"
You can activate this effect during either player's turn by sendingthis card from your hand to the Graveyard. 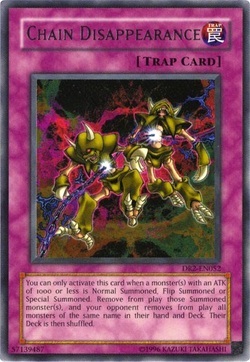 This turn, each time your opponent Special Summon a monster(s), draw 1 card. You can only activate "Maxx "C"" once per turn. When this card inflicts battle damage to your opponent yo can remove from play up to 2 Monster Cards from their Graveyard. Your opponent cannot remove from play any cards from either grave. This card shuts down Plants, TG, Agents, and Twilight. 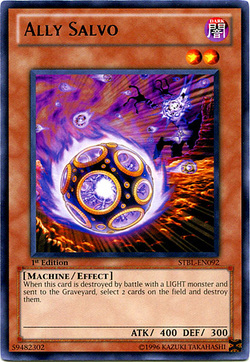 This card also shuts down BLS and Chaos Sorcerer. 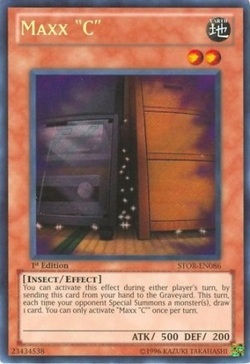 This card also stops Necro Gardna. 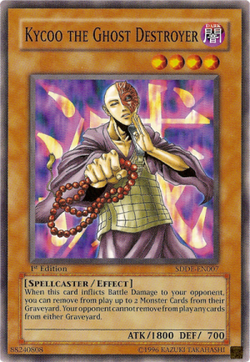 This Card Replaces D.D. Crow in you Side Deck. During either player's turn, you can discard this card to the Graveyard to select 1 card from your opponents Graveyard, and Banish It. This card is another one of my favorite side deck cards. It hurts "Plants", "Six Sams", "Fableds" Etc. You can target cards on your opponents turn, so when you opponent activates "Debris Dragon" and targets lets say "Dandylion" you can discard and target the Dandy and banish it. You can only activate this card when a monster(s) with an ATK of 1000 or less is Normal Summoned, Flip Summoned or Special Summoned. Remove the monster from play and your opponent removes all monsters of the same name in his/her hand and Deck from play. His/her Deck is then shuffled. "Chain Disappearance" is one of my favorite side deck techs. The fact that this card removes all the copy's of the card it amazing. "Chain Disappearance" hurts 95% of the meta decks, Six Sam's, Blackwings, Vayu Turbo, Plants, X-Sabers, Monarchs, etc. This card is worth the 10 dollars. 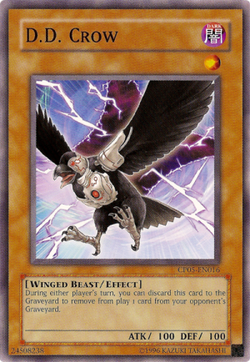 When this card is destroyed by battle with a LIGHT monster and sent to the Graveyard, select 2 cards on the field and destroy them. Due to the release of the "Lost Sanctuary" Stucture deck this card has been seen in a few side decks. The Fairy deck has a slow start but explodes when they draw there key cards such as "Master Hyperion" and "Archlord Kristya" which are all light beat stick monsters which are very hard to get over with many decks. "Ally Salvo" is splash-able in many decks such as "Blackwings", "Gravekeepers", "Heros" etc. Overall this card is defiantly worth 2 spaces in your side board.